Which makes me and Molly, the little girl at the centre of Kate Hunter’s new picture book, A Curry for Murray, kindred spirits. When Molly’s neighbour, Murray, needs help (his wife is sick in hospital), Molly decides to make him a curry. Chicken, potatoes, coriander, coconut milk, ginger and chilli are simmered for Murray’s curry and the result is delicious. In fact, it’s so good that Murray tells everyone what a fine cook Molly is. But an unexpected accident means Molly can’t cook and it’s time for Molly to accept kindness in return from her neighbours – what will they make for her? While the story’s message focuses on the importance of community and social responsibility, the fun is in the silly rhymes – what do you think rhymes with Singapore noodles? Why, the Montague poodles, of course! 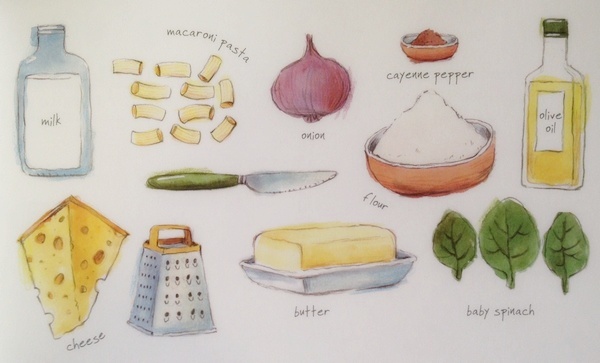 Lucia Masciullo’s meticulous watercolour ‘illustrated recipes’ are nothing short of mouth-watering and are an important lesson in themselves – not all children know or appreciate that meals are usually made of lots of ingredients. 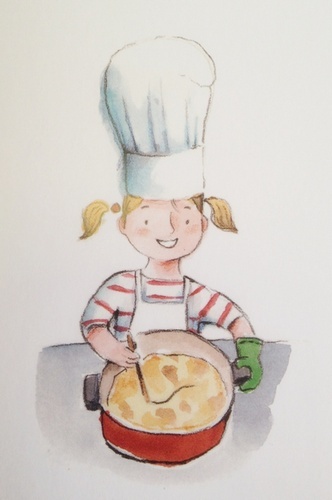 Expect a few eager little helpers in the kitchen after this story has been read! A Curry for Murray is suitable for children aged three years and over. Find it in all good book stores or online at Readings.